In the fall of 2010, San Francisco’s Recreation and Parks Department (RPD) launched a salvo in an ongoing battle against the presence of homeless people in Golden Gate Park when it unveiled plans for a new community garden to be constructed in the park’s southeastern corner. The community garden plan followed the mixed success of a strenuous campaign to remove homeless encampments that had become endemic in the brushy undergrowth of the park’s forested areas. RPD did not seek to replace one of the semi-permanent tent compounds with a community garden, however, and the plan itself was not introduced as an explicitly anti-encampment effort. Instead, the plan’s official rationale was the rising demand for community garden plots and long waiting lists at existing gardens across the city. The plan also was said to emanate from the RPD director’s express wish to locate a community garden in Golden Gate Park, the crown jewel in San Francisco’s urban park system, as a way of demonstrating RPD’s bona fides with wildly popular local gardening and food movements. The Golden Gate Park CommUNITY Garden nonetheless took direct aim at the homeless by virtue of its projected location on the site of a long established recycling center operated by the Haight Ashbury Neighborhood Council (HANC) that offered cash redemption for beverage bottles and cans, an operation decried as a veritable ATM dispensing cash to the homeless, the presence of which over the years was said to thwart all efforts to dislodge homeless people from the Park. That the recycling center had been deemed a non-conforming land use in the prevailing Park master plan provided a crucial legal foundation for RPD’s scheme. City officials also credibly claimed the support of residents neighboring the park weary from homeless peregrinations to and from the recycling center and eager for the garden alternative. The argument that the recycling center was a neighborhood nuisance wrongly occupying desperately needed parkland carried the day with the city’s Recreation and Parks Commission, RPD’s citizen oversight body, which voted unanimously in early December 2010 to approve the plan to replace the recycling center with a community garden. There is bitterness in a community garden displacing a facility that provides homeless people some means of earning income. The “green guerilla” activists of the 1970s practiced community gardening as a radically transgressive political act, lobbing homemade “seed bombs” over chain link fences to stake a use-value claim on an urban exchange-value landscape ravaged by postwar urban renewal and restructuring. “While taking over a vacant lot and planting a garden might have seemed a small gesture in a neighborhood dealing with crime, drugs, and large-scale disinvestment, many considered it a pivotal first step towards community revitalization” and “resistance to the deterioration of the city.”1 Yet here in the very environs that produced the Summer of Love, a community garden became instrument of the local state intended to deprive homeless and other poor people access to a legal income-earning activity. The Golden Gate Park Community Garden offers more than an ironic footnote to the continuing history of community gardens as social-improvement hothouses. The recycling center was not without its own energetic neighborhood supporters and legal strategy. After failing to convince the Recreation and Parks Commission that the center was a legitimate and green asset to the neighborhood and was being unfairly scapegoated for the city’s homeless-policy shortcomings, HANC immediately went to court and was granted a stay of eviction. It took two years for HANC to exhaust its legal appeals and for the city to prevail. In the meantime, HANC utterly transformed the space by scaling back the recycling operation and constructing a raised bed community garden, rechristening the site “Kezar Gardens.” By the time the Sheriff’s Department padlocked the site in January 2013, it bore scant resemblance to the material transfer station condemned by RPD and neighbors. While Kezar Gardens was not the grand scheme proposed by RPD that included a greenhouse, orchard, tool-lending and compost-making facilities, and outdoor classrooms in addition to community garden plots, it was a fully functioning community garden that seemed to fulfill RPD and its neighbors’ vision for the site and, what is more, had cost the city nothing. HANC had used all-volunteer labor and recycled materials to construct Kezar Gardens, creating a veritable laboratory of urban greening possibilities. 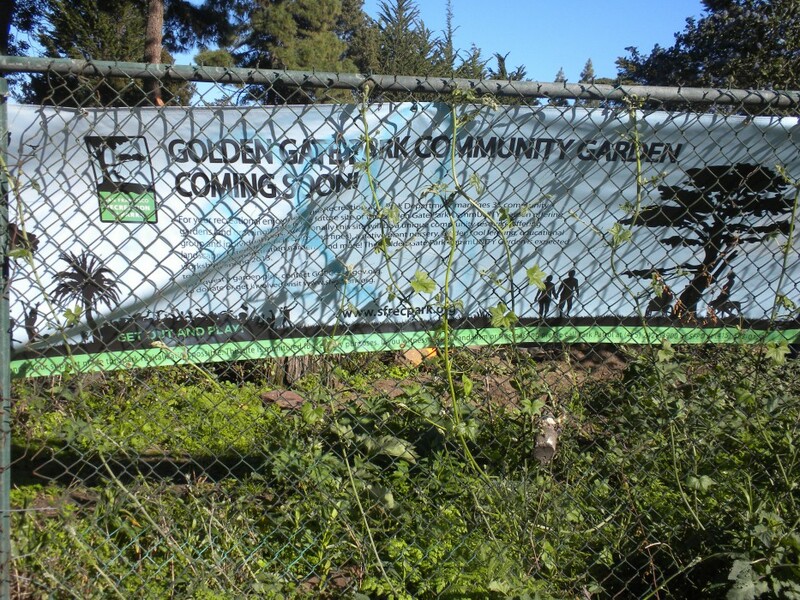 And yet RPD moved with alacrity to bulldoze Kezar Gardens and commence construction on its own project, rechristening the site, without a smidgen of irony, Golden Gate Park CommUNITY Garden. A productive intersection of gentrification and urban political ecology literatures suggests RPD’s plan is indicative of “the ways in which material relations and uneven resource consumption, concepts of nature, and the politics of environmental management are worked into or involve gentrification processes.”3 In particular, Sarah Dooling directs us to a powerful explanatory framework for understanding the local state’s role in proposing the Golden Gate Park CommUNITY Garden by defining “ecological gentrification” as “the displacement of vulnerable human inhabitants resulting from the implementation of an environmental agenda driven by an environmental ethic.”4 I argue here that green urban space is not a fungible category within ecological gentrification. Both RPD’s plan and HANC’s response to it call attention to how different urban greening discourses compete for legitimacy, and to the high stakes of such competition in the adjudication of land use claims. As in other realms of urban governance, debates over what does and does not count as “green”—indeed access to those very debates—often stand in for wider power struggles over the direction, character, and beneficiaries of urban change. 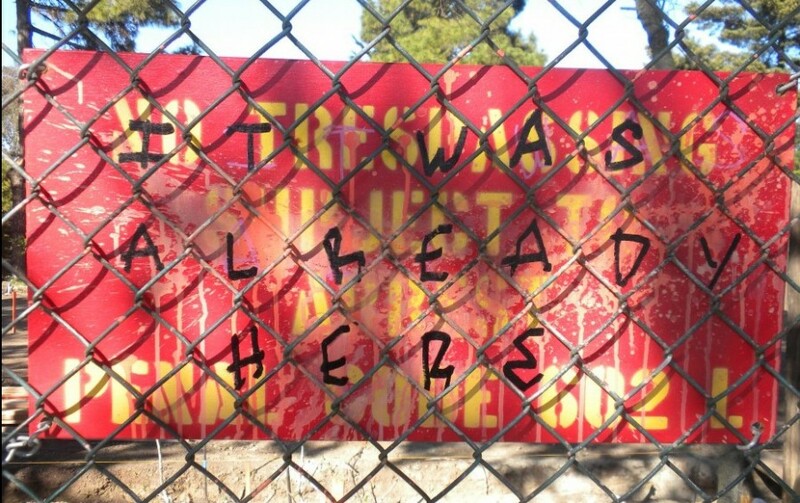 I suggest the controversy surrounding the Kezar Garden/Golden Gate Park CommUNITY Garden bears witness to the messy politics of urban greening as they play out across a landscape of intensified gentrification associated with a neoliberal remaking of contemporary San Francisco and its storied neighborhoods. Amid the larger force field of urban political ecology, HANC’s construction of Kezar Gardens at its eponymous recycling site exposes the “community” backing RPD’s “commUNITY garden” plan as an entity united less by an interest in cultivating plants than in the belief that a garden would better represent collective class aspirations for the neighborhood. These aspirations included but were by no means limited to discouraging (homeless) recycling activity. 1. Laura Lawson, City Bountiful: A Century of Community Gardening in America, (Berkeley: University of California Press, 2005). 2. Mary Beth Pudup, "It Takes a Garden," Geoforum 39 (2008): 1228–1240. 3. Noah Quastel, "Political Ecologies of Gentrification," Urban Geography 30 (2009): 297. 4. Sarah Dooling, "Ecological gentrification: A research agenda exploring justice in the city," International Journal of Urban and Regional Research 33:3 (2008): 621–639.